Kris Meeke had a particularly difficult 2017 WRC season with only one victory – in Mexico – and a pile of problems. 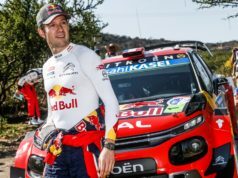 The Northern Irishman even missed a race (rally Poland), while Citroen called Sebastien Loeb to test the C3 WRC in an attempt to turn the whole team’s fortune. 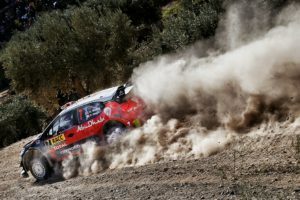 It seems the latest work has given fruits as in Rally de España Meeke was once again confident. He has always been quick – there is no doubt about that. But more than once speed cost him than led him to success. This time Meeke was both quick and careful and the result was his second win of the season. Today the Citroen driver shared his thoughts on that success. “I know you all must think it was a heavy party night after our win in Catalunya but in fact, there were a lot of press and PR commitments, and a really nice team dinner, and then I drove back home really late at night. I’ve needed a ride on my bike this morning just to get properly woken up!”, Meeke wrote on his Facebook page. Despite not having an ideal run then, he managed to stay close to the lead, finishing the first day of competition in third place. And he was only 3 seconds behind the Friday leader Andreas Mikkelsen. 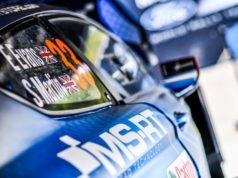 “We made not the perfect tyre choice in the morning because we went too soft on the package and we got caught out towards the end of the final stage of that loop. The tyres overheated and delaminated. That cost us 10 to 15 seconds. Then I had a spin on the first stage after service and we lost another five seconds or so”, Meeke explained. After the finish, Meeke remembered walking on those same Spanish roads 20 years ago to watch Colin McRae in the Subaru. 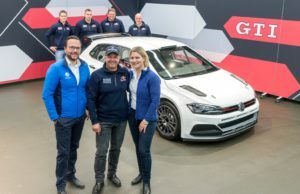 That was the time when he never imagined he would even drive a World Rally Championship car. It’s not about how many times you get knocked down, it’s more about how many times you get back up ?